I don't know if you remember me talking about this from spring market, but there has been a big movement afoot to have Sandy Klop of American Jane bring back her "mono Pez" fabric. With her newest line she has some (now named" Magic Beans" that are multi colored, but no mono (one colored) fabrics. So, knowing many of my peeps are in LOVE with the mono I asked her about it. I also went to my Flickr friends and asked them to email me with their thoughts and desires for this to be brought back. "Ok Girlfriend you did it Pezzy print is here It will be available soon! 12 mono prints and 6 multi prints they will be in my Basic collection. Thank you for all your excitement in this . Will I see you at Market? Sandy"
So it is not just me but all of you that got this to happen. I emailed her and asked her when and if she is allowed to share the colors. I will keep you all posted!! Let the Mono Pezzy fun begin!! PS OK it gets better!!! Here is the link to all the new colors!! How Is It Sunday Already? This week just flew by. I just wanted to take time to thank everyone that has left me such kind comments on the passing of our beloved Laxy. Many of you have also suffered through the loss of a pet, some recently and some that just feel like it's recently. I am extending some BIG hugs to all of you out in Blogland to let you know I feel your pain too. Now on to happier subjects! On Wednesday (yes I said Wednesday), I worked on a little top that I cut out strictly from left over projects. I was going through fabric and found some left overs from another quilt and though I would strip them up and put them in my strip bins. As I pulled out the pieces, I realized that some of the pieces were actually large enough to cut into 5" squares. So I cut as many as I could into squares. Then I pulled a few complimentary solids and cut some more 5" squares and ta da, here is my little top! I just need to make a back and quilt it up and it will be a wonderful little baby quilt for someone! 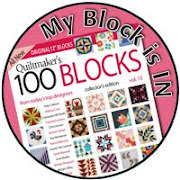 Yesterday after the stressful morning I thought I would relax and maybe check out my EQ7 program and see what I could do as far as designing my star block for the QAL. Honestly, it would probably have been easier to do it on graph paper but I am determined to learn that program! So I struggled through and got it done. I am by no means proficient at it but it's a step in the right direction. I decided to use Flower Sugar fabrics for my star, but I can't show it to you just yet. 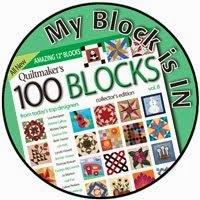 I have to write up the directions to the block and then have a friend or 2 test out my directions. I made mine and I am in love with it!! 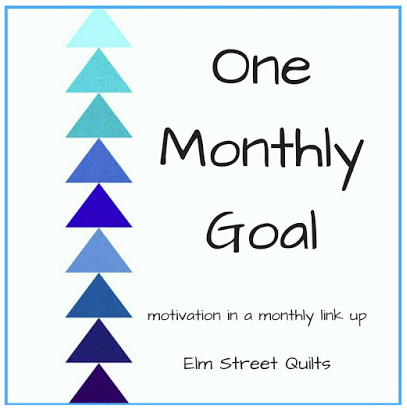 If you haven't signed up for the QAL over at Moose on the Porch you should go and check it out!! I often tell you what a mess my sewing area is and that it is usually covered in cats. Yesterday was no exception. Mosen and Aiden were on the couch and Jack had taken over my sewing chair when I got up. What a mess this area is at the moment! Ah well! I sent DH off to a remote area in Canada with his 2 uncles for their annual whatever it is. Ahhhh, breathing room, I love it! I was cleaning out the garage until I came in to pay bills. I should go and do some more cleaning. DH left all his fishing/camping stuff in the family room so I am clearing out some space in the garage and out it will go! Plan to shampoo the carpet in the family room this week too. Fingers crossed!! Today we had to put our beloved dog, Laxy to sleep. It was not an easy decision and it has not been an easy day. We got her when she was about 2years old from some friends that had found her wandering. We had her for about 4 years. Recently she had not been acting like herself. Not very excited, kind of lethargic. I took her to the vet. The words you don't want to hear. Kidney failure. "She's so young", I said. "Is there anything we can do?" We did everything they told us and it still was not enough. She went from a 70 pound dynamo to a 41 pound old woman. Last night she wouldn't even get up for me. Wouldn't eat. Kept vomiting. I just couldn't watch her do that anymore. It broke my heart = ( My son wanted to be there when they did it. I had to be there. I always have to be there. It just somehow seems so wrong to me that your friends should leave without the comfort of someone they love being near to ease their passing. As difficult as it is to be there I feel like I owe them at least that. To tell them it's ok, to let them know we love them and that we will see them again at the bridge. So Lax, "Get the kitty" and "Bring us your toy", we will grieve today and then celebrate all the good times we had together. We love you and we miss you! Checker Distributors had their annual open house on Monday. 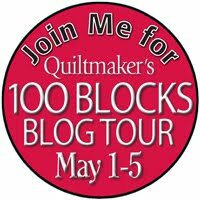 I went with Cori (Crazy Quilt Girl Fabric Shop), Quiltin Queen, Liz and her friend Mary Ann. We had so much fun! I had not seen Barb and Mary (Me and My Sister Designs) since market so I was so excited to see them!! It was nice to catch up. These are two great ladies!! We also ran into Jaybird (Julie Herman) and Edyta Sitar (Laundry Basket Quilts). Two VERY talented women! Julie on the left and Edyta on the right. I managed to get a pic with Julie and then we got a group shot of Quiltin Queen, Crazy Quilt Girl, Edyta and myself. Now I have some super exciting news to share with you. When I was talking with Edyta she was super excited and leaned over her counter and said, "Would you like to be my personal assistant?" I just about fell over! I replied, "What exactly does that mean?" We are currently working on just exactly what that means and my first job responsibilities begin on Monday. She lives about an hour away from me but there are several "online" things I will be doing for her for now. Eventually, I may get to do some traveling with her to markets and such. I am currently in SHOCK! It is all just soooo exciting! Only time will tell how our relationship will work itself out but she is an amazing woman and designer and I am looking forward to a long friendship with her. 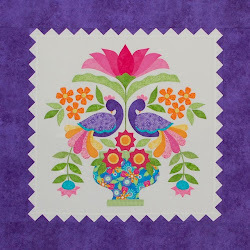 If that was not enough, Konda (Moose on the Porch) asked me if I would like to design a star for her FQ Quilt Along that is beginning in September. I had noticed that you could contact her if you were interested in designing and just had not gotten around to doing it when she emailed me! So look for that in the future from me. I'm a little nervous about it and need to study the details. Have you ever had one of those days where you say, "I was gonna do..."? That was my Sunday. I cleaned all day on Sat then on Sunday I took DH to the airport and he was gone until last night. So I had Sunday all to myself. I LOVE having a day all to myself! My day went seriously arwy though. I didn't do a darned thing I thought I wanted to do instead the day kind of dictated what I *had* to do. I was talking to Liz and her mom has been up north all summer at the lake and that lady has made over 20 quilt tops!! She is in serious need of some new fabrics to work with. 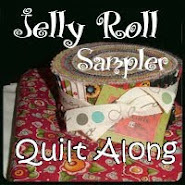 Periodically I cull some of my stash and send it her way to make quilts for charity. So down the basement I went. I made a small dent in the stash (not much) and got her 2 pretty good sized bags of fabric. I know you are wondering why I am going off on a tangent, LOL. In the process of going through a bag I found the left overs from a quilt I made several years ago. Do you remember when aqua and red were not popular? Well that's how long ago it was. These scraps were just at the beginning of that time when those colors were becoming popular. 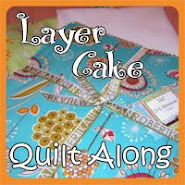 My friend, Ellen had given the fabric to me for my birthday along with a pattern to make a quilt. Said quilt is finished and on DD1's bed. My dad spilled red candle wax on the top = ( I got the wax out but the red stained the quilt. 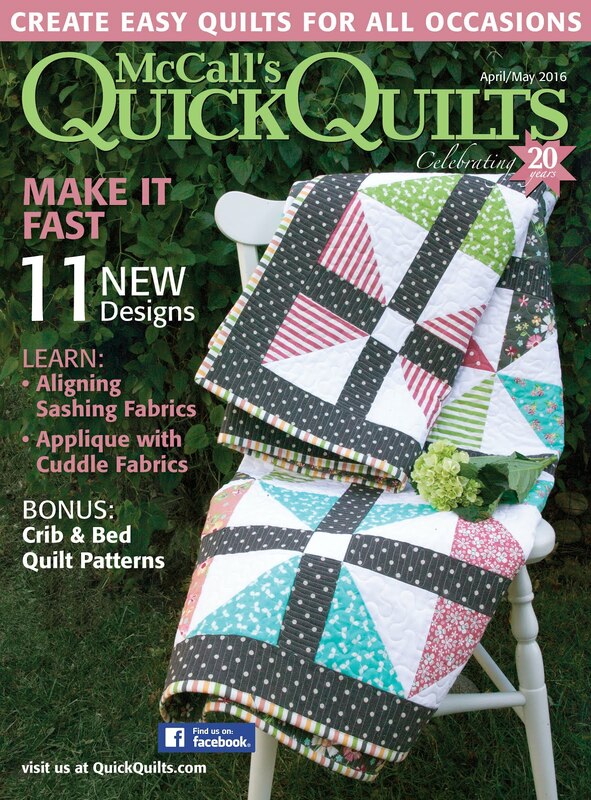 I was always sad about that b/c I really like the quilt. When I found the left overs from the quilt I thought I would cut them into strips for my strip bins but realized I could probably get some 5" squares out of them and maybe later make something with left over charms. So I started cutting...and cutting. Man there were a LOT of charms! Long story short, I added a couple of solids and now I have enough for a nice little charm quilt! Once that was finished I had to decide what to work on. So many choices and so little time! My BFF Holly has a mom that is a fan of my quilts. She had transferred some photos to fabric and asked me to make a quilt for her. I've never done that but I am trying really hard to get the "have to" quilts done so I can not feel guilty about working on my own stuff so I pulled them out. Now what to make with them? I finally settled on simply framing each print with a color that complimented the photo. It took me some time to determine the layout and the fabrics. In fact I actually sewed one and *hated* the way it looked with the fabric I chose, so I ripped it out and re-did it. That light pink just screamed at me so it had to go! Next was to decide what background to put it all on. I tried several and settled on a dark green with leaves. I stopped at this point as I was tired and didn't feel like doing all the math to make it all fit together so that will have to wait for this weekend. 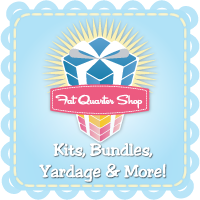 A little while ago I won a gift certificate to the Fat Quarter Shop. I have been hoarding saving it to use on something I really wanted, although at the time I had no idea what that might be! Then along came Far Far Away III and I knew that's what I wanted to use it for. I supplemented it with a purchase at another shop that had 25% off and this is what I bought. There are still a few prints I would like to have in this line so if you hear of a sale be sure and let me know! I know I am woefully behind but I'm trying to catch up! My friend and LAQ Liz, had a birthday. Now what does one get for the woman that has most everything she wants and buys what she wants? That's a difficult question. Do you have friends like that? With most of my friends I try really hard to come up with thoughtful gifts. Not just something to have something to give, but something I am excited to give. Sometimes I'm more successful at it than others, LOL. I think I hit the nail on the head this year. The one on the pattern was done in golds and the stitchery in black. I really love how it came out using the clear blues. I might have to make one of these for myself someday! I also made her a rooster pin cushion from a vintage planter. You already saw the pincushion in my last post. I didn't have time to bake but I went out and bought her a cheesecake from a local bakery too. So where was I? We left DD2 as she rode away and headed on our way towards home. We were going to stop in Berlin Ohio on the way and spend the night. Land of the Amish. Lots of local quilt shops there. I have put a ton of scenery shots up on my Flickr so I thought I would just talk about the quilt shops and stuff I bought while we were out and about. If you want to see more though you can check it all out on Flickr, k? 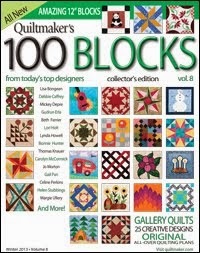 The first shop we stopped at was called Quilts and Crafts and it was still in NC. Nice shop, nice owner and a great find. Look, DH even came in to look around and stretch his legs. Full Moon Forest!! I haven't seen this for a long time! I bought what was left on the bolt, not much, and have already got swappers asking for some. SWEET!! Next up was a shop called The Charming Chick. 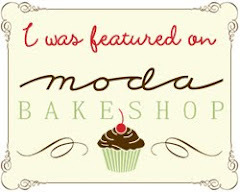 The owner was so nice and she even stayed open for us so we could stop! Lots a great wool and wonderful floss! 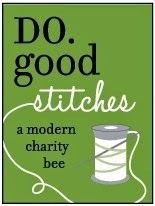 I bought quite a bit of the floss and DH found a pattern he wants me to stitch (in all my spare time, of course!) Also a cool magnetic needle minder. Then we were back on the road again heading for Ohio. We hit the town kinda late so we just went right to our hotel, The Inn at Amish Acres. AWESOME room and amazing view from our room. First straight out the window and then looking to the right. See the top of the building? That's where we ate breakfast! Amazing view and great view. 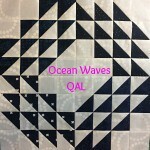 I ended up with some Neptune, some of the gray words by Sweetwater and some really dark navy for a binding to a quilt that is at the quilter's. They had some Good Folks on clearance too in case you're looking. This was one great shop! I could have spent MUCH more than I did in there too. You can see the inside and the back yard, very cool! I could have hung out there all day! Next stop was in Berlin at the Country Craft Cupboard. I got a couple of patterns and a little bit of wool. I walked across the street to Helping Hands quilt shop and found 4 colors of the stripes from the Urban Chicks line called Sweet. All I can say about that is SWEET! As we were driving around I became totally fascinated by the hay stacks, as in find a needle in one. These were stacked by hand and were adorable! Something so personable about them. Doesn't the second one look a little like Cousin It?? We did some antiquing and I found to more vintage planters. I made the rooster into a pin cushion already and gave him to Liz for her birthday. We went to the cheese place and bought some cheese to take home and then headed out for home. What a whirlwind trip! I have to sneak this one in under the wire. 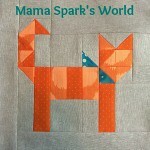 Darlene, at Sew Cal Gal is hosting a Pets On Quilts contest. 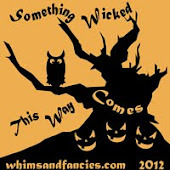 You can go via the button on my side bar and see all the fabulous entries. For mine, I want to present to you Lincoln's Memorial with my beautiful model, Miss Halloween (AKA Hallie). Hallie is sitting on a quilt covered with cats. Here is a photo of the quilt without the cat so you can see it. There are 54 cats (55 actually) and one dog. The one extra cat and the dog are in the border. Here is the story behind the quilt. One day in the late afternoon, I heard screaming. I asked DH to go and see who's kids were making so much noise. He went outside and came right back inside to tell me to call 911 as our neighbor's house was on fire. She kept screaming, "my babies". Since we did not know her everyone thought she meant children. Turns out it was her cats. One brave cat jumped from the second story window and survived. She is the one in the border. The other 54 were not so lucky. It was so tragic. Her little doggie didn't make it either, so he is memoralized in the quilt too. You can see Samantha, the brown tabby and the doggie too. The woman was just devistated by her loss. Mostly of her beloved cats. We helped her and it seemed like we just kept finding more and more cats. My DH and DS worked a long time helping her find them. My Dh burried each one in the woods behind our home. 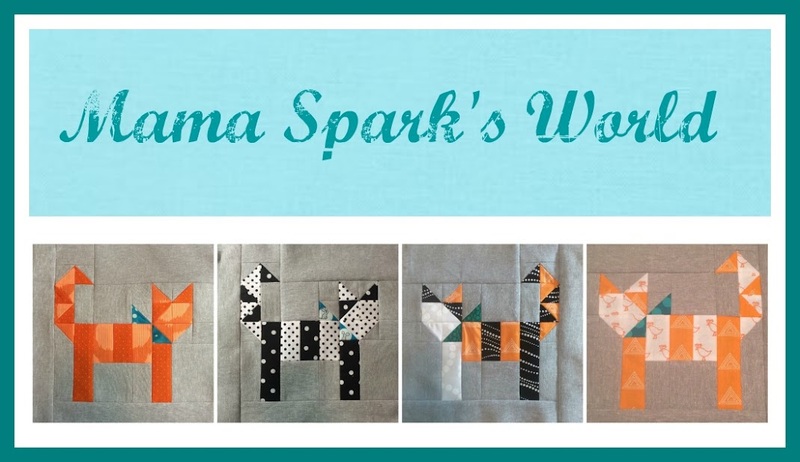 Being such a cat lover myself, I could not imagine how she felt and what I could do to ease her pain, so of course I decided to make a quilt. I wanted each cat square to represent one of the 54 that died in the fire. No two cats are alike on the quilt. I named it Lincoln's Memorial and here is the label. The woman was so distraught by her loss and she felt so guilty (even though it was an electrical fire started inside the wall) she couldn't take the quilt from me. So we have it and we use it every day. No one of us will ever forget that day. I know my story is kind of sad but the quilt is beautiful. I think I have a picture of each one of my cats sleeping on that quilt too.